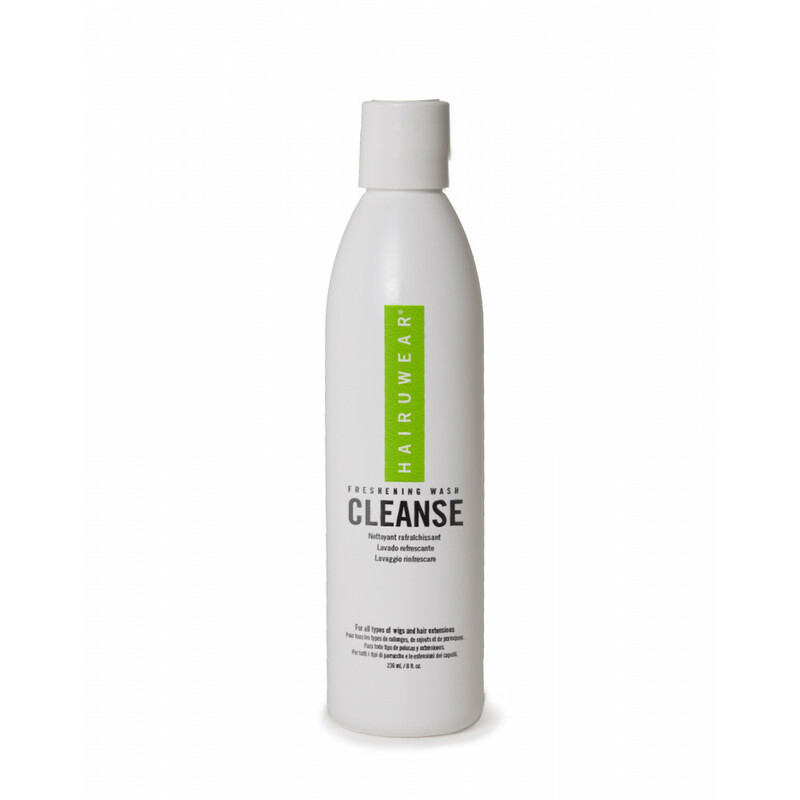 Specially formulated to be used on synthetic fiber and human hair wigs and additions, HairUWear Cleanse is an enriched luxurious shampoo that helps create the perfect look and feel while providing weightless moisture and shine. This luxurious, PH balanced shampoo provides weightless moisture and shine, and gently cleanses away styling product buildup. Formulated to neutralize odors from wear with a fresh, light fragrance. HairUWear hair care products are environmentally safe and contain no animal products. Absolutely no animal testing involved.